The BBJ1, a combination of a 737-700 airframe and 737-800 wing, was Boeing Business Jets’ first aircraft serving the Corporate Airliner segment. With configurations typically ranging from 19 to 50 passengers – much less than the typical 149 passenger capacity of the 737-700 NG airliner – a BBJ’s cabin is typically divided into four sections: a boardroom, lounge, VIP bedroom and a business office, along with two restrooms. Since the first BBJ, Boeing Business Jets has introduced the BBJ2, based on the 737-800, and the BBJ3, based on the 737-900ER. With additional fuel tanks and CFM56-7 engines, the BBJ flies as far as 6,200nm and the BBJ2 flies 5,600nm. The major difference between the two is the cabin size where the BBJ2 has 25% more space than the BBJ. As Boeing’s direct competitor, Airbus’ ACJ Family offers a similar range of Corporate Airliners based on the CEO variant, short for current engine options, originally including the ACJ318 — based off the A318; the ACJ319 — based off the A319; and then ACJ320 & ACJ321. All ACJ models except the ACJ318 which is no longer in production, typically accommodate 19 to 50 passengers so are sized much like their BBJ competitor, but the ACJs have a slightly wider and taller cabin. The ACJ319 has a range of up to 6,000nm, while the ACJ318 is capable of just 4,200nm with two tanks. Both can be equipped with engines from either CFM, IAE (not the ACJ318) or P&WC. Based on the 50-seat regional airliner CRJ200LR, Bombardier introduced the Challenger 800 back in 1997, with an updated version later brought to the market in 2006 — the Challenger 850. Capable of accommodating up to 19 passengers or 27 in a Corporate Shuttle version, the Challenger 850’s range is significantly lower than the much bigger BBJs or ACJs — falling into the super-midsize category, reaching 3,100 nm. The Challenger 850 was introduced as a cost-effective “Global Express” offering almost the equivalent cabin size, at the sacrifice of range. Brazilian aircraft manufacturer Embraer launched the Lineage 1000 in 2006, based off its very successful E190 regional jet airliner. Categorized as an ultra-large business jet due to its 4,085 cu-ft cabin, with a range of 4,200nm, the Lineage 1000 accommodates from 13 to 19 passengers. While its cross-section is larger than several conventional business jets, like the Gulfstream G550, 7X or Global Express, it’s still smaller than the BBJ or ACJ. Embraer relaunched the Lineage 1000 as the 1000E in 2013, with enhanced avionics and performance, as well as a greater range of 4,600nm. The pre-owned market for Corporate Airliners really needs to be broken down into two categories, as an ACJ can’t be thought of in the same category as a Challenger 850. So, on one hand you have the very successful BBJ and ACJ319 – ultra-long-range business jets with fully customized interiors, both market successes, along with the new MAX and NEO versions coming to the market now. On the other hand you have the ACJ318, L1000 and CL850 – mid-range business jets with limited cabin customization available, poor market acceptability and are no longer in production. Considering all of these Corporate Airliner models, the BBJ is the most popular model, with 135 jets in operation. Not too surprisingly, the US is its largest market, where it is also utilized by numerous government entities. Greater China is also a strong market for the BBJ, followed by the UAE and Saudi Arabia, where this aircraft is most used by private owners. The ACJ319, the direct competitor of the BBJ, has a younger but much smaller fleet of 70 worldwide. Greater China and Germany are the largest markets for this aircraft. The Challenger 850 has a fleet of 71 aircraft, used primarily in Greater China by a number of governmental entities and state-owned enterprises, along with the US and Russia. The L1000, with a fleet of 29 aircraft, also has a number of governmental users, plus Asian and Middle East owners. Inventory market values for Corporate Airliners have been steadily increasing since September 2016, with the ACJ319 and BBJ2 increasing the most. Comparatively, the G550’s inventory value has been decreasing since early 2016. Currently the market for pre-owned Corporate Airliners is witnessing little activity. Typically, the average percentage of business jets for sale — at any given time — is around 6 to 9%. The BBJ sits just above that with 11% of its fleet for sale, while the ACJ319 has 13% for sale and the Challenger 850 has 14% of its fleet for sale. The BBJ2, Lineage 1000 and ACJ318 have 17%, 21% and 25% of their fleets for sale, respectively. In comparison, the G550 has a worldwide fleet of 556 aircraft with just 5% of its fleet for sale at the moment. The average days on market (DOM) for the selected Corporate Airliners reached just over 600 days, as of September 2018. The ACJ318 has the highest DOM at more than 1,000 days, while the Challenger 850 and ACJ319 have the lowest DOM at just over 200 days and 315 days, respectively. For comparison again, the G550 had an average DOM of 165 days. In terms of market activity, as mentioned Corporate Airliners are currently experiencing few transactions, particularly when compared to conventional business jets. BBJs are the most active, with about one sale every few months. Therefore, price-wise — average asking prices for pre-owned Corporate Airliners are less volatile than the traditional business jet market. For popular models, such as the BBJ1, pricing has remained stable, varying just between US$34M and US$41M. The highest priced model of the Corporate Airliners is the BBJ2, with an average asking price of around US$57M. The Challenger 850, which has ceased production, is one of the lowest-priced Corporate Airliners, with an asking price of just over US$25M. However, each aircraft’s price tag can increase significantly depending on the aircraft’s interior, which most owners have customized using an industry renowned designer. The paradox here is that given only a small group of aircraft buyers can afford a Corporate Airliner in the first place, combined with their numerous requirements regarding cabin configuration and interior, most potential buyers would most likely go for a brand-new aircraft thus lowering demand for pre-owned aircraft. While pricing is understandably higher for a Corporate Airliner versus a conventional business jet, the depreciation rate for Corporate Airliners is slower. According to VREF, for a BBJ with a price tag of US$46.5M delivered in 2008, today’s value would be US$34M; a 2.5- 3% annual depreciation rate. This is much less than the average 6-9% annual rate for a conventional business jet. Because they are based off of commercial airliners with high annual utilizations, Corporate Airliners inherently have a robust airframe and system design allowing them to serve for longer periods, with fewer factory visits than conventional business jets. Also, Corporate Airliners are more spacious; a BBJ’s cabin volume is almost three times that of a G550 and consequently the interior can provide more flexibility for the buyer. These features along with a long list of others have successfully drawn the attention of top-tier business jet buyers and created a solid market demand for Corporate Airliners. 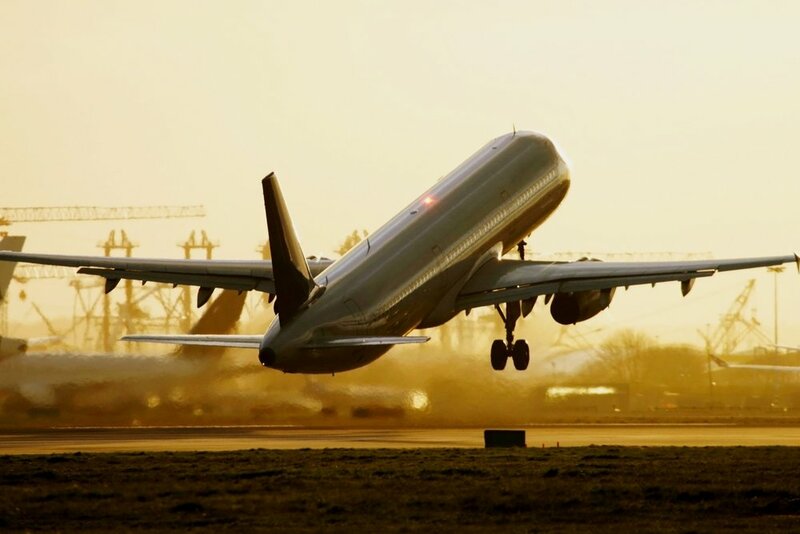 While the Corporate Airliner market is undoubtedly popular for government entities and corporate users, the efficiency of these aircraft and their suitability for the demanding private user is often debated. A good example is with the avionics. Most business jets, including the Falcon 7X, Global 5500 and G550, have long offered Enhanced Vision System (EVS) with a Head-Up Display (HUD), improving pilot awareness in challenging conditions. Yet, these have only more recently found their way onto Corporate Airliners and even then merely as options with several Corporate Airliners only offering EVS as an upgrade while the baseline avionics typically remain from the last generation. Corporate Airliners also have a relatively slower cruising speed (around Mach 0.8) and a lower cruising altitude, ranging from 35,000ft to 39,000ft versus conventional business jets usually flying well above Mach 0.8 at 39,000ft. Thus, Corporate Airliners take a longer time to travel and typically can’t avoid challenging weather conditions like a conventional business jet. The cabin altitude in a Corporate Airliner is relatively higher too while in cruise. A BBJ’s cabin altitude is 6,500ft, while a G550 is slightly lower at 6,000ft, making a significant difference over long-haul flights, as passengers would feel more comfortable at a lower cabin altitude. Another major selling point for business jets is the reduced cabin noise they offer. In today’s conventional business jets, with the help of advanced insulation liners and the latest in acoustic treatment technology, they have virtually eliminated cabin noise by reducing it to an unperceivable level. In some cases this technology isn’t fully reflected in Corporate Airliners, which continue to come from the factory with the conventional noise treatment of just a commercial aircraft. In terms of the interior, Corporate Airliners — straight from the factory — tend to have limited customization options and OEMs have often opted for film-coated materials versus real veneer to reduce cabin weight, maintain range and lower costs. This has left the finished interior unappealing to a lot of buyers. Alternatively, in the case of BBJs and ACJs, those purchasing these aircraft typically look to interior specialists and completion centers to outfit the aircraft according to their customized needs. This process can take up to 18 months or longer and comes with a hefty price tag; an ACJ or BBJ customised interior costs between US$20M to US$30M to outfit. Operating costs for Corporate Airliners tend to be much higher than that of a conventional business jet. The BBJ and ACJ319, comparable in both range and cabin size, cost approximately US$8,000 to operate hourly, and over US$3.5M annually, according to Conklin & de Decker. In comparison, the G550, which has a slightly longer range yet a smaller cabin, costs approximately US$6,700 to operate hourly and US$2.8 million annually. At the moment, the market demand for Corporate Airliners is much lower than supply impacting seller’s expectations. Consequently, it takes a significantly longer period of time to sell a Corporate Airliner than a conventional business jets. Still, as the ‘top-tier’ of the corporate jet market, Corporate Airliners offer a shallower depreciation curve, combined with more space and the potential for specialized interiors custom designed by completion centers. Still, buyers are always pushing for future models to provide for a more genuine business jet experience, complete with advanced technology throughout the cockpit and cabin and a more luxurious cabin design as standard. There are potentially three “new” Corporate Airliner models entering the market. These are referred to as “new” because some have already been announced but are taking a while to bring to market which is never a good sign for the long-term viability of a program. The three programs are the Sukhoi Business Jet (SBJ) from Superjet International; the ARJ21 Business Jet from COMAC in China; and a potential ACJ220 from Airbus Corporate Jets. The first SBJ was sold in 2013 and today the type is in operation with RusJet, Rossiya Special Flight Squad, Comlux KZ (on behalf of Metallurgical Corporation Kazakhmys), Kazakhstan’s border patrol and the Royal Thai Air Force. Currently, the collective fleet stands at 11 units. The aircraft was recently upgraded to incorporate eight tanks instead of four and added blended winglets. This extended the range of the aircraft out to 3,900nm. The target markets for the SBJ are CIS countries, Middle East, Southeast Asia and Africa, where buyers are looking for something between an ultra-long-range business jet and a Corporate Airliner, such as the ACJ and BBJ. The ARJ21 Business Jet is still in development mainly due to corresponding delays to the commercial airliner program and its ongoing certification issues. To date, there are only five airliner ARJ21s in service with Chengdu Airlines and three more involved in flight test duties. COMAC also holds firm orders for 127 more of the type, and options and letters of intent for a further 399. The first ARJ21 Business Jet is currently under production in Shanghai, with the prime vendor for the cabin installation being Fokker Techniek, supported by cabinetry from F/LIST in Austria and cabin liners from Jeff Bonner Research & Development Company Inc. (JBRND) in the US. Last, but not least is the ACJ220 which is still a project very much on the drawing board but being talked about nevertheless. With Bombardier and Airbus now partners on the former C Series and the program subsequently rebranded the A220, an ACJ220 potential fills in the bottom of the ACJ family previously occupied by the ACJ318 and for Bombardier Business Aircraft provides a product that could nicely sit between the current Challenger and Global product lines. As sales of the A220 have fallen to Airbus Group, maybe we will see an ACJ220 being sold by Bombardier in the end. To fit either role, the A220 will need to be modified and avoid the limitations of the A318. For instance, the airliner A220-100 only has a range of 3,100nm so this would need to be pushed out into the 5,000nm range. Customization and a high-quality fit and finish to the cabin will be a requirement for any buyer of a business jet in this segment too. Lastly, the needs of the Asian market will need to be factored into the final specification of the aircraft because, if the past is any indication of the future, markets for Corporate Airliners, Asia will be one of the most dominate.